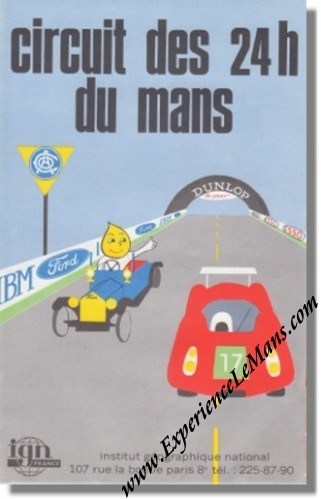 Vintage Original 1970 Le Mans Track Map. 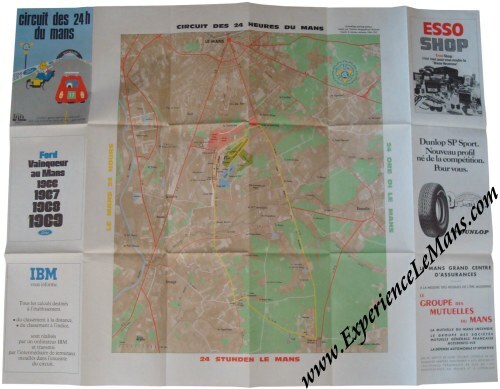 Issued for the 1970 running of the 24 Hours of Le Mans, this map would show spectators around the immense track site. It shows the grand stands, parking areas, camping sites and small roads around the track. It measures 14 x 22 cm (some 6 x 9 inches) and unfolds to a grand 84 x 66 cm (some 36 x 18 inches) including the ads on the border. 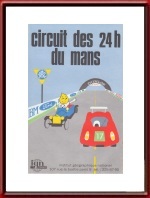 Would look great as a "casual decorative item" in your contemporary classic car or even stunning when framed properly. The race itself was won by Richard Attwood and Hans Herrmann in their Nr 23 Porsche 917K (S/N 023) with a total of 343 laps to their name.